Netflix working with cable companies as on-demand alternative? 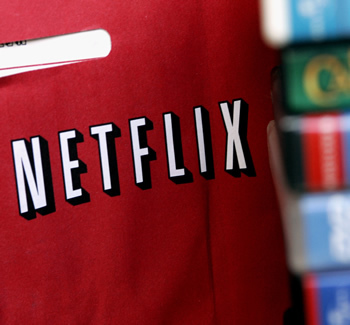 According to multiple sources at Reuters, Netflix may be considering a deal with cable network companies. Few details are known about the proposal, but one source claims the plan may be to bundle Netflix as an on-demand option for cable television subscribers. The report claims that Netflix's CEO, Reed Hastings, took part in low-profile meetings with senior cable executives in order to discuss potential partnerships. Such a partnership would be ironic as industry players have been visibly concerned about subscribers "cutting the cord" -- leaving their expensive cable television subscriptions for cheaper, Internet-based alternatives to shows and movies. Hastings recently commented that he believes cable networks would like to have a viable alternative to HBO. Netflix, he suggested, could be that alternative in the long term. Hasting's words seem to imply that there may be distant plans to provide Netflix through traditional cable outlets. "It's not in the short term, but it's in the natural direction for us in the long term," said Hastings, speaking at an investor conference last week. "Many (cable service providers) would like to have a competitor to HBO, and they would bid us off of HBO." Comcast recently announced Streampix, an addition to their Xfinity video streaming service. The company believes Streampix will rival Netflix at a cheaper price, although that is yet to be seen. With this in mind, it is easy to assume that Comcast will be one cable who is not interested in a deal with Netflix. However, Comcast's foray into streaming may, at the very least, encourage other cable operators to consider Netflix's proposal as a stopgap countermeasure. Even if a deal can be struck with cable companies, Netflix could still be in for a real headache. According to an unnamed senior programming executive, some of Netflix's content deals may explicitly prohibit delivery of Netflix through cable boxes. If this is the case, Netflix may be forced to possibly rework or drop certain, existing content deals.